One of my favourite projects in Mastering Silhouettes was to create a set of silhouettes for a doll’s house. However, I had to think carefully about scale! Doll’s Houses are traditionally constructed at 1/12th scale. This is the size of the dolls, so how big should their silhouettes be? In the Regency period, silhouettes were traditionally painted at 1/10th scale. Therefore, I calculate a doll’s house silhouette should be 1/10th the size of a 1/12th scale human head. That makes it 1/120th scale, is that right? That’s too hard! My own silhouettes vary in size quite a lot, anywhere from 1/4 to 1/10th scale, bur not 2mm!. 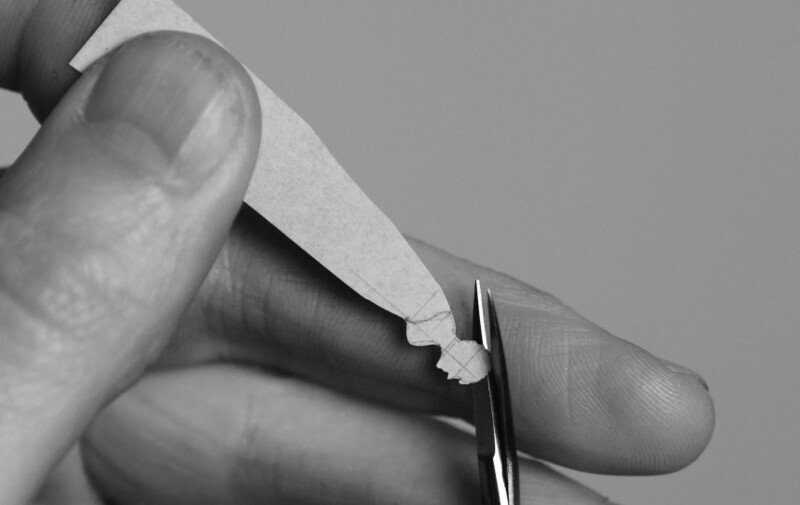 I decided to make things easier, so I assumed my doll’s house artist cuts really big, quarter-scale silhouettes. Therefore, I needed to cut my doll’s house silhouettes at 1/48th scale. This meant I had about 5mm between the chin and the top of head, which is much more manageable. For the project I cut and painted a number of these doll’s house silhouettes, each one copied from a cut silhouette in my duplicate albums. At this scale, I found it impossible to work freehand, so I scaled each silhouette down and drew it with a sharp pencil. I then framed and arranged them on the wall of a 1/12th scale room box. To finish the scene I added 1/12th scale full-length silhouettes of a silhouettist and her next customer. The artist is my friend Cindi Rose. Paper dolls-house scene, complete with tiny silhouettes, silhouettist and customer. The scene includes a penny to give a sense of scale. These were great fun! If you are a fan of doll’s houses, perhaps you’d like to have your own silhouette – or those of your children – on the wall’s of your doll’s house? If so, please do get in touch so we can arrange a sitting. The best way to do this would be via an on-line video link such as Skype or FaceTime. This is just gorgeous. 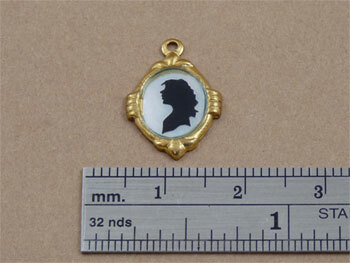 They would also make lovely pieces of jewelry – such as pictures in a locket or a little frame on a chain. They have a modern-day cameo feel about them! Thank you Nicki. 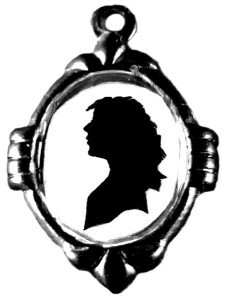 I am occasionally asked to cut silhouettes for lockets. They work really well, I just need to cut very small.